Completely exasperated with the way the Lok Sabha has been functioning over the course of the Winter Session, on 15 December - the penultimate day of the Parliament's Winter Session - BJP stalwart LK Advani said he felt like resigning. The veteran parliamentarian gave vent to his pain and anguish soon after Speaker Sumitra Mahajan adjourned the House for the day amid trading of charges between the government and the Opposition on smooth functioning of proceedings. Remaining seated in his front seat, Advani first narrated his feelings to Union minister Smriti Irani, who in turn drew the attention of Home Minister Rajnath Singh standing nearby. Singh appeared to give a patient hearing to the veteran leader, but was seen hardly reacting. Parliamentary Affairs Minister Ananth Kumar, who had earlier targeted the Opposition over the disruptions, had by then left the House. Advani was heard telling the Home Minister to convey to the Speaker that she should ensure the House runs tomorrow to have a discussion on note ban. "If it does not happen and Parliament is adjourned sine die without discussion (on demonetisation), it will be considered a washout," he told Idris Ali (TMC) and two other BJP MPs, including Nana Patole. He was heard remarking that even today, talks should be held with the Opposition, especially Congress, on ensuring a smooth debate tomorrow. 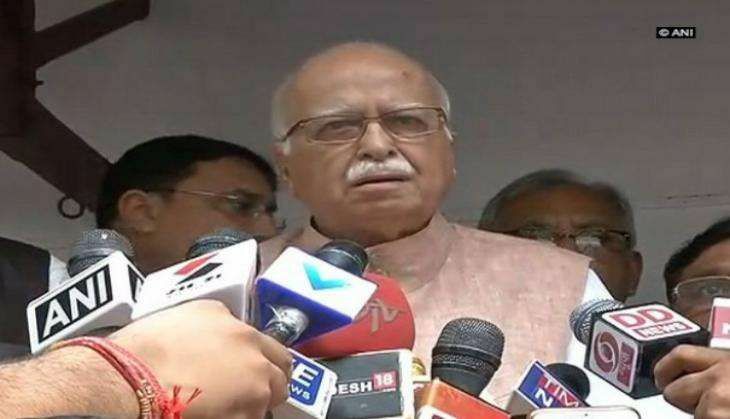 Advani insisted that discussion should be held under whatever rule and no one should see it as a "victory or defeat" for his side, suggesting if Parliament is adjourned sine die without any debate, it will be a defeat of Parliament. Congress leader in Lok Sabha Mallikarjun Kharge was seen telling a Lok Sabha official that the way the House was adjourned gave only the version of the government and the Opposition was left high and dry. "We feel like hanging ourselves at Vijay Chowk," he was heard remarking.